Please get in contact today if you are looking to maximize your earnings from your site! The team behind Adflips have experience from being both publishers and advertisers. Due to this, we would be thrilled to hear from you if you have any questions about marketing and advertising online. We would also love to hear your experiences from the ad industry. Our readers have great experience themselves and we value all the input we receive! 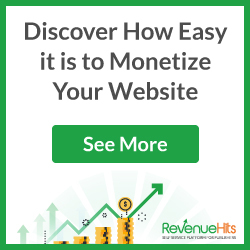 You are surely missing out on valuable revenue for your hard earned traffic on your site.